TGIF Clemson Girls!! We are super excited to offer you ladies a giveaway today! Meet Team Headbands...a company that specializes in team colored headbands. Team Headbands understands that female sports fans often want to show their school spirit, but a lot of the mainstream sports merchandise and apparel available isn't always flattering or stylish. 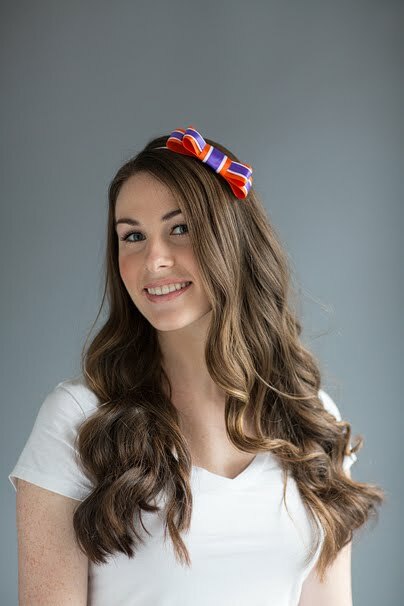 So Team Headbands found a chic and cute way for girls to show support for their team (without a bulky jersey getting in the way) with adorable team-colored headbands. They wanted to keep their products fun and affordable so that even students on a budget could look feminine and fabulous. Team Headbands has been generous enough to offer Clemson Girl readers the exclusive coupon code CLEMSONGIRL for use at checkout in our online boutique -- you will get 20% off of your purchase, as well as an additional headband to gift to a friend (Buy one, get one)! This coupon is valid from today's date until March 31st 2013. That is a fabulous offer for a fabulous headband!! 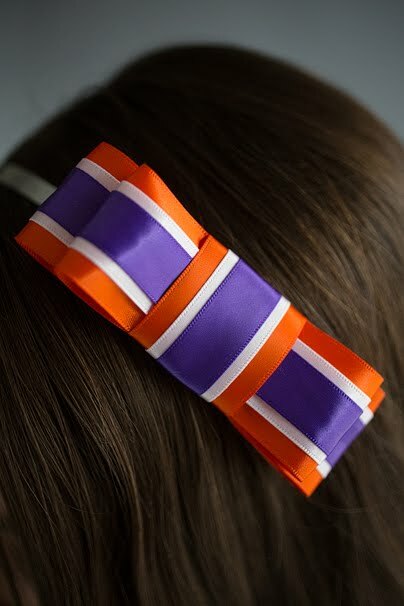 Take advantage and BUY the Clemson headband now. One very lucky Clemson Girl will win a Clemson Team Headband of her very own. This will be a super cute accessory for any gameday outfit, year-round. Deadline for entries is midnight tonight, Friday, February 8. We will compile all of the entries and draw a winner at random and post the winner's name to our Facebook and Twitter tomorrow, Saturday, February 9. We will also attempt to contact the winner directly (Tips to ensure we can contact you: If you post a comment for an entry, create a free Blogger account with your email or include your email in your comment. This is not required to win, but allows us to notify you directly of the win, instead of you having to rely on finding out on your own. Your email will only be used to contact you if you win, never for anything else.). The winner will have until Wednesday, February 13 to email us or we will draw a new winner. Special thanks to Team Headbands for sponsoring today's giveaway and making Friday that much better. Good luck ladies and Go Tigers!